By the time Museum came – and it did eventually come –Mr. HT, the man, and his coffee had had time for a thorough chat. I don’t know what they talked about, because I removed myself from the conversation, but both the man and Mr. HT seemed satisfied with the outcome. Mr. History Tourist: the Lucy van Pelt of Canal Street. Five cents, please. 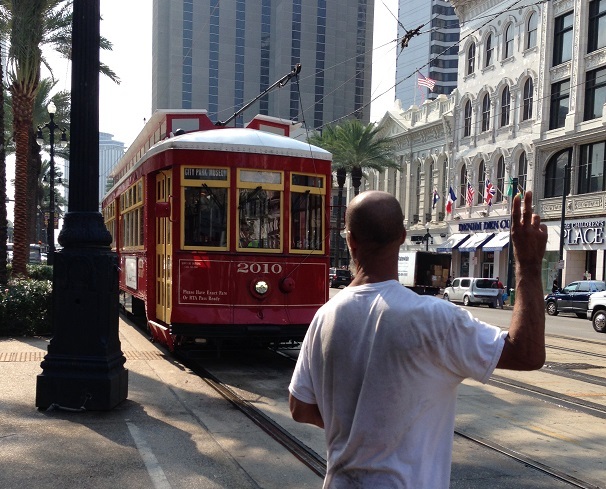 The streetcar took us north on Canal Street through a commercial area. Then just before Metairie Cemetery, where the Cemeteries line ends, it took a sharp right, past some large, upscale residences. A few blocks and we were at the end of the line, in front of the New Orleans Museum of Art (NOMA). 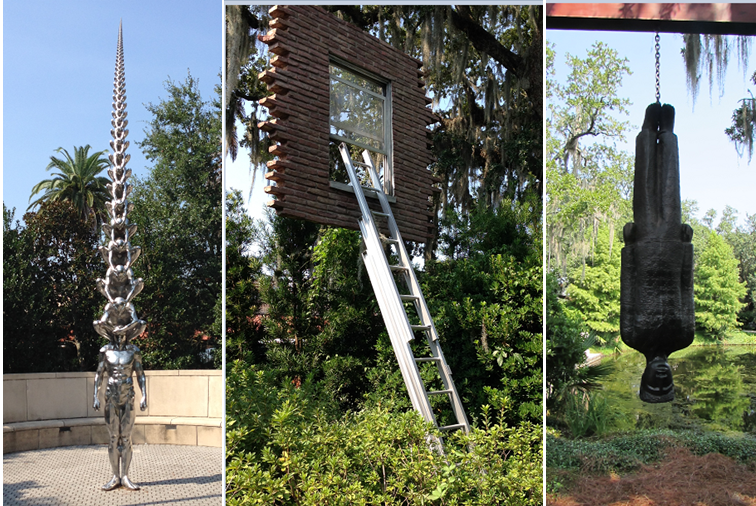 The New Orleans Botanical Gardens is behind the Bestoff Sculpture Garden, which is behind NOMA. It looked to me like cutting through the sculpture garden was the quickest way to the botanical garden. Turns out, it wasn’t all that quick, because we were held captive by the art. We spent an hour in the sculpture garden before we made it to the botanical garden. 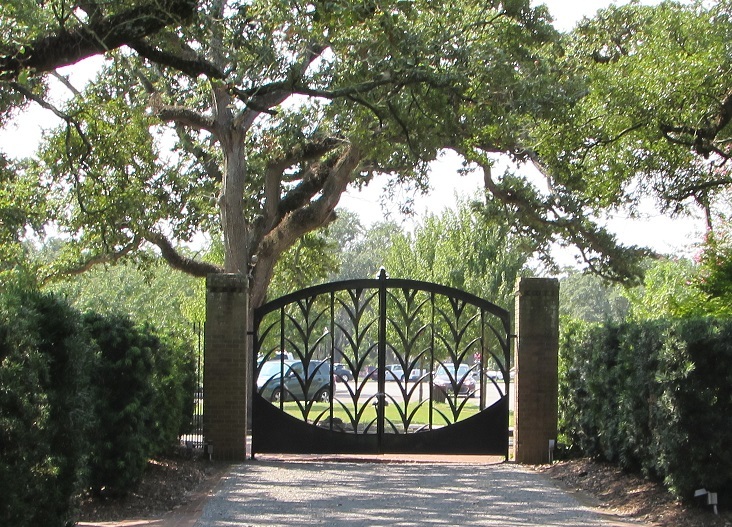 The New Orleans Botanical Garden started as a rose garden in 1936, funded by the Works Progress Administration (WPA). Mr. HT was there to photograph flowers and butterflies. 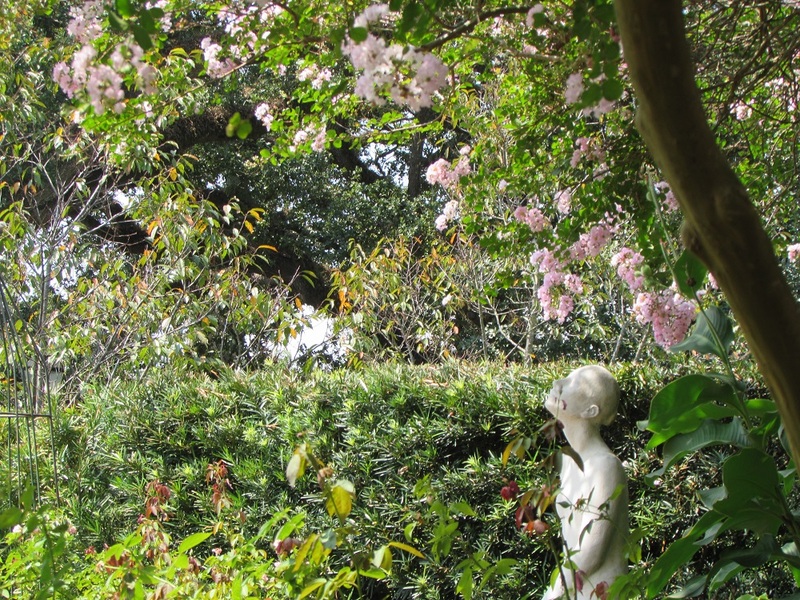 I was there to see the art deco influences in the gardens, courtesy of WPA artists and architects. An employee was hurrying down a path with her arms filled with notebooks when she noticed me taking a ridiculous number of photographs of this gate. She stopped to explain that the WPA had hired sculptor Enrique Alférez to provide art for the gardens. The figure above and the gate below are his. The sculpture garden, the botanical garden and NOMA are all part of a 1300 acre public space that has been used as a park since 1854. Where duels were fought in the 19th century there are now tennis courts, a golf course and an amusement park. A waitress at the restaurant in our hotel told us that New Orleans city leaders are discussing whether to take down all of the Confederate monuments that are around the city and re-home them. The New Orleans City Park seems to be the leading contender. 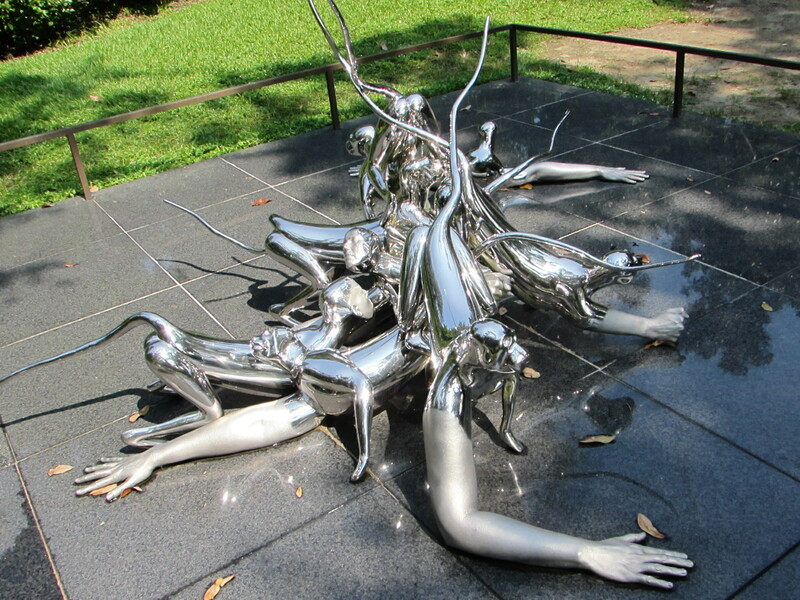 Gallery | This entry was posted in Louisiana and tagged Bestoff Sculpture Garden, Enrique Alferez, New Orleans Botanical Garden, New Orleans City Park. Bookmark the permalink. Beautiful gate, and good photograph of it! Thank you. I just loved it. Is NOMA the same museum we hiked to in the drizzle? I remember being very impressed with their collection. Yes, it is. Sorry that we didn’t have time to do it on this trip. Your next grant tour will have to be a southern route (and you have a place to crash near Tucson if you ever come this way). Thank you! I want to get back and do more of Arizona and New Mexico, as well as the Southeast. One day!